We will notify you of the outcome of your application. Payment for stalls is to be made in full by the 7th April 2019. Your stall will NOT be confirmed until payment is received. No stall fees will be collected during Mardigrass. 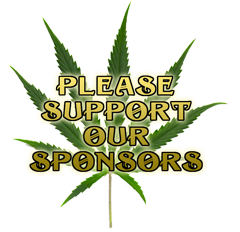 We invite vendors of hemp and cannabis related products, services and ideas. This is our 7th year at MardiGrass’ new venue PLANTEM PARK, behind the HEMP Embassy and Town Hall, featuring the Hash Bowl Stage and the HEMP Olympix in Sativa Stadium. The park also hosts Indica Arena which is an educational space featuring Hemposium talks, the Industrial Hemp Expo, and medican advice and information. We invite local vendors to showcase the creative, innovative and alternative spirit of Nimbin and the Northern Rivers region. The Nimbin Community Centre’s MAGIC GARDEN MARKET ** Nature doesn’t make mistakes! ** will reflect other aspects of Nimbin’s counter-culture featuring alternative building materials, sustainable energy, growing food/medicine, forest re-generation, as well as hand made and traditional crafts, with the backdrop of the best of music from the Rainbow Region all weekend. The market sites will be open for setting up on Friday 3rd May from 10am. Be aware that Nimbin village is still doing business as usual on Friday, and again on Monday. No vehicles are allowed on site after this time. Although Nimbin MardiGrass will provide security, you alone are responsible for your property. No dogs or other non–native animals are allowed on site. Please leave your pets with a carer for the weekend. This is also a night market, so stallholders must be willing to trade into the evenings. Stalls usually close around 9-10pm, but you are welcome to trade longer. Please make sure that you minimise the amount of electricity you use. Choose lower electricity lights rather than spotlights. Halogen lights or flood lights will not be allowed. Please make sure that your electrical equipment is tested and tagged before you arrive and you have plenty of extension leads & large cable ties to affix cords to your stall. Power leads cannot be threaded through marquee frames but must be loosely suspended by cable ties so they can be easily removed in an emergency. We hope your products can be displayed with a minimum of packaging & all waste is minimized. Recycling is a priority.